The Linley group has been covering processors for what seems like forever. They’re especially known for their excellent Microprocessor report, which has been running since 1987. The Linley Group also organizes two events a year: a spring and a fall processor conference. We joined about 400 microprocessor engineers at the spring processor conference in Santa Clara last month. While some of the talks discussed important SOC design topics like security, memory, RISC-V, and interconnect fabric, the key topics that almost all presentations referred to were really AI and deep learning. About half of the presentations at the conference covered this exciting new area. We presented in the autonomous cars session. The Embedded Vision Summit is the only event focused exclusively on the hottest topic in the electronic industry today: deployable computer vision. 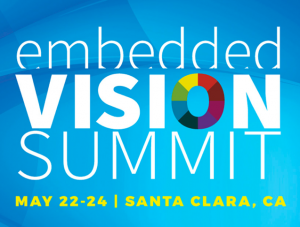 Come meet us at the Santa Clara Convention Center on May 22-23, and connect with hundreds of product and application developers, business leaders, investors and entrepreneurs – all focused on embedded vision. We’ll be showing our silicon demos and deep learning solutions. We’re on a roll. We closed a round of growth funding in September, won our third Deloitte Technology Fast 50 award in November, and announced our new v-MP6000UDX visual processing architecture that runs deep learning algorithms at CES in January. Therefore, we’ve moved into a new office space to accommodate our rapid growth and future expansion plans. “The last twelve months we’ve seen a lot of success at videantis. We added several automotive customers, addressing ADAS as well as autonomous driving, and expanded further into exciting new high-growth consumer application areas like AR/VR,” said Hans-Joachim Stolberg. What were once coprocessors are now becoming the processors as designers make parallel data processing a central element of heterogeneous architectures for artificial intelligence (AI), natural language processing, and image processing. 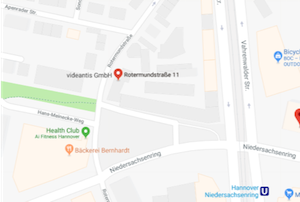 As new and established silicon and software providers jockey for DNN positioning at the data center, videantis GmbH announced a CNN vision processor and development tool chain aimed squarely at the edge. In particular, the v-MP6000UDX visual processing architecture and v-CNNDesigner tool target smart image and video processing. CPUs and GPUs by themselves are not efficient enough for image sensing and processing at the edge, so videantis developed a digital signal processor in 2004 for low-power applications. The 6000 series is its latest instantiation, this one intended for DNN and CNN algorithms. Looking for a position where you can learn a lot and make a big impact at the same time? 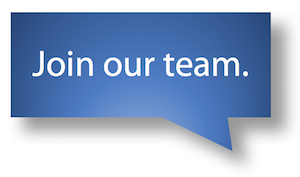 We’ve added several people to our team in the past couple of months but are still looking for stellar hardware and software engineers. Do you think you can keep up with the pace of the rest of our team? Interested in taking on a challenge? Do you have experience in deep learning, embedded processing, low power parallel architectures, or performance optimization? We’d love to hear from you. See our open positions and shoot us a message.